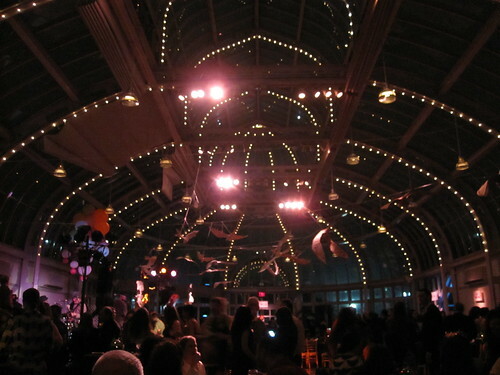 The folks at Brooklyn Botanic Garden were so super kind to comp me a ticket to their “LUSH” party this past Friday, February 10. I was thrilled to be able to go, especially considering I can’t really afford to drop $65 for a night out. My boyfriend (who did purchase his ticket) and I had a great time! The events runs from 8pm to midnight and tickets are $65 a pop. I’m going to try to swing it, though being mostly unemployed makes it a hard for me to spend $65 for an evening out. The party does sound like it will be well worth it, though. Anyone out there planning to go? Correction: I originally stated that tickets are $75, but they are in fact $65 apiece. 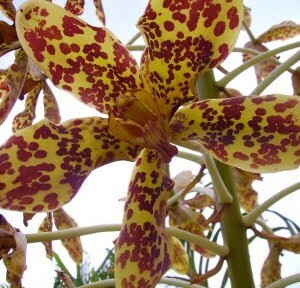 Today I noticed an article on Gothamist about the Tiger Orchid in bloom at the BBG. 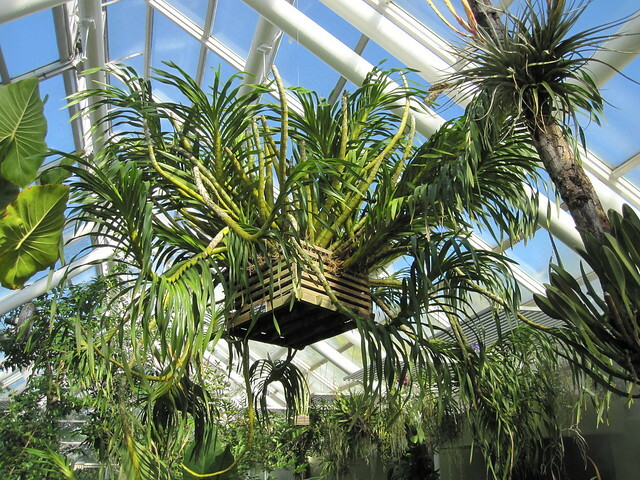 And then I went over to the BBG’s Garden News Blog and saw their post about it, along with some really nice photos of this monster orchid’s blooms. Their photographer snapped closeups of these giant flowers, which I failed to get during my visit last week. 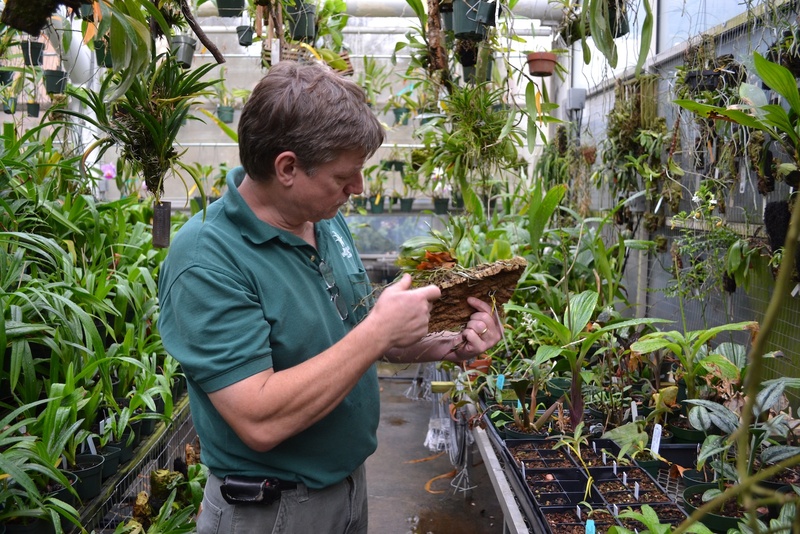 According to the Gothamist article, the Grammatophyllum Speciosum gains 100 pounds when it is in bloom! Impressive. Now that was a bit of information that I didn’t know. But seriously, go see the orchid. I know I’ve said this before. 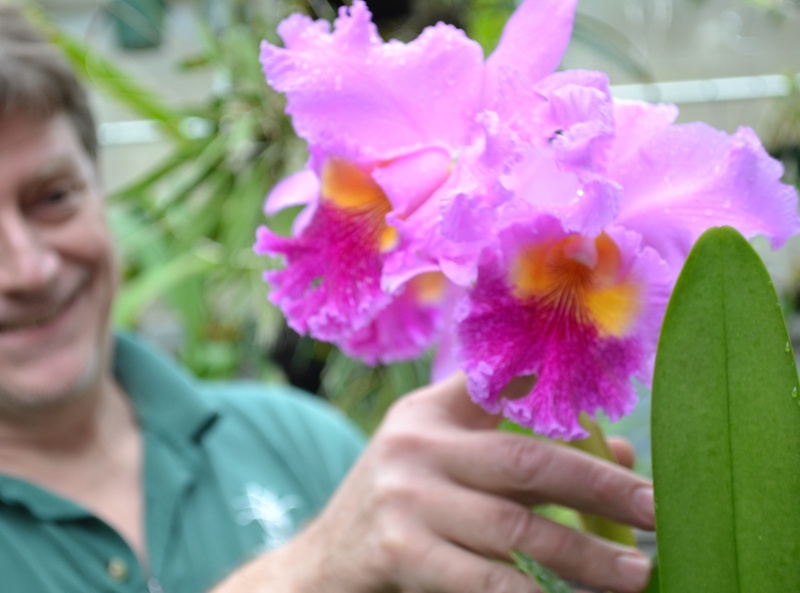 It’s really quite a sight to behold, and there are some other really beautiful orchids to be seen in the Aquatic House while you’re there visiting the Tiger. As I mentioned, winter weekday admission is free, and the Aquatic House (and the entire Conservatory in general) is a wonderful respite from grossy, chilly winter weather. Edited to add: Commenter Stefano pointed out a gratuitous article about the orchid from today’s online Brooklyn Paper, too. Orchid growing isn’t like baseball or cycling, folks. I had forgotten about Brooklyn Botanic Garden’s free winter weekday admission until I saw Brokelyn’s post about it earlier this week. So I made plans to go with my also-marginally-employed friend on Friday morning (random aside: we planned to meet at 11am on 11.11.11!). I’ve been in the mood to go see some orchids, and I was also thinking about how the Grammatophyllum speciosum (AKA the Tiger Orchid) was probably due to bloom soonish. 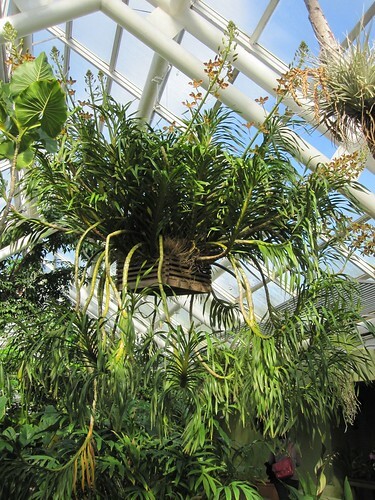 You may remember that I featured this plant as an Orchid of the Week quite awhile back; it’s believed to be the largest type of orchid in the world!